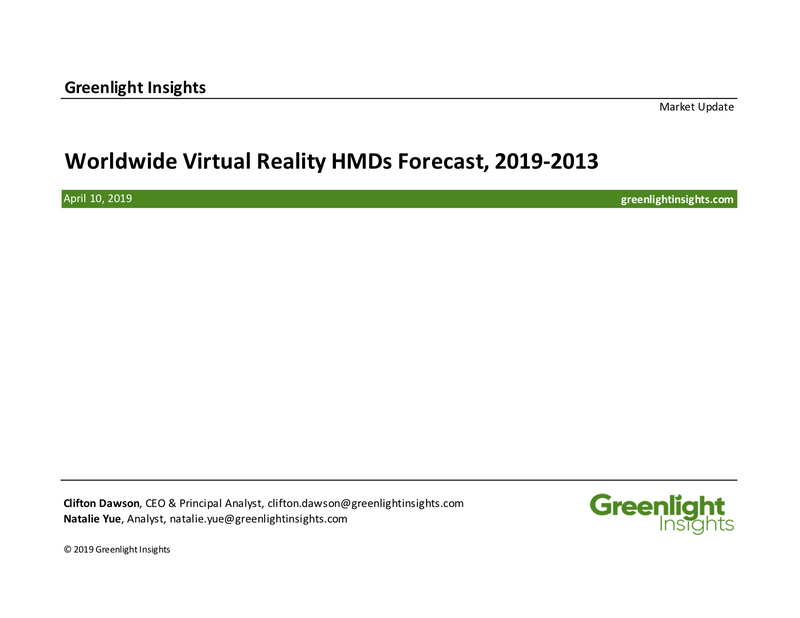 This Greenlight Insights study provides an updated forecast for the worldwide virtual reality head-mounted displays (HMDs) market for the 2019-2023 period. 1. How will VR head-mounted displays adoption vary by region and industry? 2. What will be the VR head-mounted displays market's total spending by industry by 2023? 3. What are the drivers and inhibitors for VR head-mounted displays adoption?